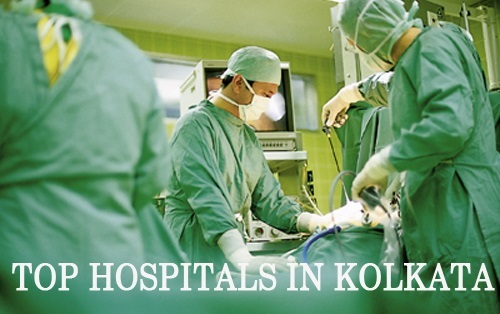 Have an access to the list of the most popular hospitals in Kolkata. All these hospitals are famous for their finest medical treatments which have helped lots of patients in regaining their health. They maintain a team of some of the most experienced and highly qualified doctors, surgeons, consultants and nursing staff to ensure best healthcare and medical services to one and all. If you put up in Kolkata and finding a good hospital for your medical needs is too tiresome for you then follow this list of topmost hospitals in the city and avail the most promising treatments. Ruby General Hospital in one of the topmost hospitals in Kolkata and is known for its wonderful medical services. Established in 1995 with the motto of giving honest, caring, compassionate and economical healthcare services to the patients, this hospital has the best of the doctors employed with it. It is a multi specialty hospital with 42 departments catering . Desun Hospital and Heart Institute is one of the most popular hospitals in Kolkata. The doctors at this hospital are highly committed to provide patients with the most efficient, effective and timely healthcare by making the best use of technology and offering the much required medical support in a completely clean and hygienic environment. Fortis Hospital & Kidney Institute at Rash Behari Avenue in Kolkata is known to be the very first medical facility of its kind providing effective renal care in East India. It is a super-specialty hospital which is a popular name in Urology and Nephrology. Since 1999, the hospital has performed the maximum number of kidney surgeries in East India. Advanced Medicare and Research Institute is a very popular hospital in Kolkata. It is a super specialty hospital providing services in neurosciences, oncology, orthopaedics, trauma care, cardiology and cardiac surgery using the most latest technology. It is the first hospital in Eastern India to provide comprehensive cancer treatments with the help of well qualified, reputed and experienced team of Cancer specialists, technicians and nurses. The Calcutta Medical Research Institute (CMRI) is a part of the CK Birla Group. It is one of the best hospitals in Kolkata with a heritage of more than 45 years. It is one of the most trusted multi-super specialty tertiary care hospitals in Eastern India which attracts patients from countries like Nepal, Bangladesh, Bhutan and Myanmar. Apollo Gleneagles Hospital is another very popular hospital in the city of Kolkata. It is a multispecialty tertiary care hospital which promises to provide a perfect blend of technological excellence, complete infrastructure, competent care and heartfelt hospitality to the patients to ensure best health and wellness to them. It is a joint venture of Apollo Group of Hospitals, India and Parkway Health of Singapore. Medical College and Hospital was established in 1835. It was the first college of European medicine in Asia and it is also one of the largest government hospitals in Kolkata. It is well equipped with modern technologies and different forms and facilities which are required to provide the best medical services to patients. Peerless Hospital & B K Roy Research Centre is another very famous super specialty hospital in Kolkata under private management. It is equipped with all the basic amenities and facilities which are needed to provide healthcare and medical treatments to patients. It is known to offer effective treatments for various problems. Medica Superspecialty Hospital is one of the largest superspecialty hospitals of eastern India. It is the largest integrated healthcare provider which is committed to bring the best in healthcare. It has the finest team of doctors to provide a wide range of treatments across different medical disciplines. Disha Eye Hospital & Research Centre is the most famous name in eye care in Kolkata. It has the state-of-the-art infrastructure to provide the best eye treatments to the patients. It is a privately owned hospital which was started by four doctor friends within the affordability limits of the patients.